* Total number of reviews and star-ratings are based on data collected during the time period American Air and Heat has been using the ReviewBuzz system and may not directly match the data found on each public review site. Chris is a very hard worker. He will try the best he can to help you out in difficult situation, and he makes sure that everything is right and best for your AC system. I highly recommend AAH, technician Irving was professional, friendly and knowledgeable. My AC is 7 yrs old, no more warranty. It constantly blowing air when set on auto, and not cooling at all. First they sent tech Jason who ‘s also knowledgeable and right away told me there’s a leak somewhere and they have to send someone who’s expert to find the leak. The next day they sent Irving. He explained the problems clearly, suggested different choices to take, with its costs, and patiently let us think it through and decide what we would like to do. When it comes to AC, nothing is cheap especially for elderly who lives on Social Security. Nice to know that we can make our own decision after knowing more about where we stand. Thank you AMERICAN AIR & HEAT ! The field service technician, Irving, was very professional in his punctuality, and in asking questions to analyze the problem with my AC system. In a very short time he diagnosed the problem, and it was exactly what he had predicted. He replaced the defective part, and then tested the complete system to make sure the unit was performing to specification. Great service, I eagerly recommend them, and especially Irving, for all AC work. I had the pleasure of meeting Robert a few days ago when he came to my home on a service call. He is very respectable and knowledgeable. He patiently answered all of my questions and took the time to listen to me. He explained to me what he was doing and took the time to show me what he was doing. I am very impressed by him. I believe that he is the model employee that any employer would hope to have in their employ. I dont believe I can express just how happy I am with the service he provided. Thank yoiu Robert. My heating system failed on the first sub 40 night of the season. I called American Air and Heat first thing next morning which scheduled me for the next day between 11 and 3:00. I came home from my office to wait and Irving called me at 11, said he’d be here in 30 minutes but was here in 15. Irving was squared away, forthright and articulate; diagnosed the problem immediately and explained it to me to my satisfaction. He had to go someplace to pick up the required part, was back in about 45 minutes and had my heat back on by 1:30. I strongly recommend American Air and Heat and would welcome Irving to work on my system wholeheartedly. Irving was informed and efficient and got the job done immediately. He’s first class. 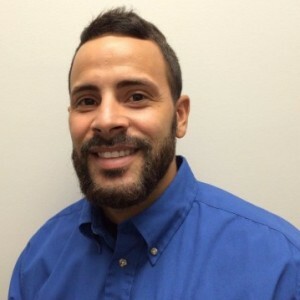 Daniel Zertuche did a great job on our "preventive visit" service call...very courteous and thorough. Keep up the good work ! Great company to work with. Very pleased. Louis was very professional and I was glad he was the one who did the job. He was very knowledegable and even gave me some advice on what to do when I left and went back home. I would recommend American air and Heat to anyone. Robert Moore, is a very courteous worker very hardworking and respectful. He did a wonderful job with us and we recommend him for any other job. he did a job well done. Thank you. Robert was knowledgeable and courteous. Thank you. I called for a quote on a new A/C, UVC lamp unit and was pleasantly surprised by Doug Foster’s patience, knowledge, helpfulness and honest nature. I told him about my allergies & asthma and he assured me the UVC lamps inside the unit & Filter would make a huge difference in my breathing and air quality. I can’t believe how much better I feel in the morning and it is easier to breathe. As far as the crew (Eric H & Forgive me I forgot his name) who installed my A/C unit, they were on time, polite, informative and good communicators. They worked fast, went out of their way to explain stuff, help out and finished ahead of schedule. Overall I’m very pleased with my Lennox A/C, and Ultraviolet IAQ Unit and filter. Not only is it cooler, quieter, but it’s Mold/Mildew Free. Thank you American Air & Heat for truly being honest, Family-friendly oriented. Riad did an excellent job and even screwed my doggie door back in so it would help on the cool air not escaping. He was very pleasant and did a great job. 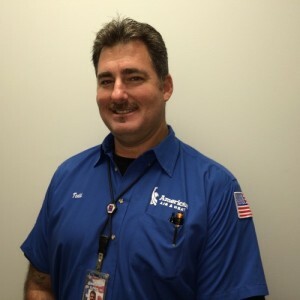 Daniel Z******* did my 6 month maintenance check on my A/C unit today.I have been with American Air and Heat for at least 10 years and this was the best maintenance service I have had.I am a retired engineer who likes to watch and be informed whenever work is being done at my home.Daniel performed all required service and was very patient and took time to point out areas that might require work in the future. 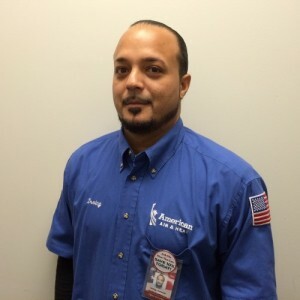 Louie was on time, knowledgeable, professional, and personable as are all American Air & Heat technicians. He clarified some information for me and made recommendations. He performed regular maintenance, sanitized our ducts which I had not heard of before, and boosted the start-up amperage of our outdoor unit. THIS IS THE SECOND SYSTEM AMERICAN HEAT AND AIR HAS INSTALLED IN MY HOME. TODD IS EXTREMELY KNOWLEDGEABLE AS TO WHAT THE SYSTEM SHOULD BE FOR YOUR HOME AND THE INSTALL CREW DOES A GREAT JOB AND WHEN THERE FINISHED YOU WON'T EVEN KNOW THEY WERE IN YOUR HOME THEIR SO NEAT. I HIGHLY RECOMMEND THE COMPANY. AS I'VE WRITTEN THIS IS THE SECOND SYSTEM THEY HAVE INSTALLED. I HAVE A THIRD ONE AND I WILL USE THEM FOR THAT WHEN THE TIME COMES. So impressed by this company and their customer service!! From the individuals that answer the phones to the techs that came out to our house. Not only the customer service but they stand behind marking sure the customer is happy! Wow!! Truly wowed by this company! Riad was very professional and explained in detail the work that he performed on the A/C unit. 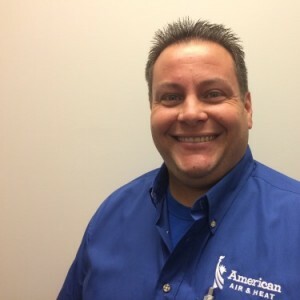 In addition, his friendly demeanor and his industry knowledge are a true compliment to American Air & Heat. Mr. Robert Moore was very professional, I will recommended this company to my friends. This company will go the extra mile for you. American Air and Heat Team . Customer service is always a top priority at American Air and Heat. Our BBB Membership A+ rating is like a badge of honor as we continuously strive to provide the best experience for our clients.